ISLAMABAD: As the nation celebrates the eleventh anniversary of Pakistan’s nuclear tests today (May 28), a shocking 30-year-old secret has been exposed. It reveals how a young woman college lecturer, feeling betrayed after a romance with a nuclear scientist of the Karachi Nuclear Power Plant (KANUPP), had given a lead to the Inter-Services Intelligence (ISI) in 1978, which in turn had led to the dramatic arrest of 12 Pakistani scientists and engineers, planning to sabotage Pakistan’s nuclear sites at the behest of a superpower. Brig (retd) Imtiaz Ahmed broke his silence of over 30 years to share this amazing operation with The News on the eve of the 11th annual celebration of Pakistan going nuclear. He said that while many people take credit for saving our nuclear programme, no one actually knows how an unsung jilted girl had actually ended up saving Pakistan’s nuclear project out of sheer vengeance. Brig (retd) Imtiaz Ahmed served as director in charge Internal Security ISI for several years in Islamabad and later director-general Intelligence Bureau (IB) in the first government of Nawaz Sharif. The then prime minister Benazir Bhutto had put him in jail for about three years on charges of being part of the operation to oust her in 1989 during her first government. Later, General Musharraf also put him in jail for four years till his acquittal by the Lahore High Court. 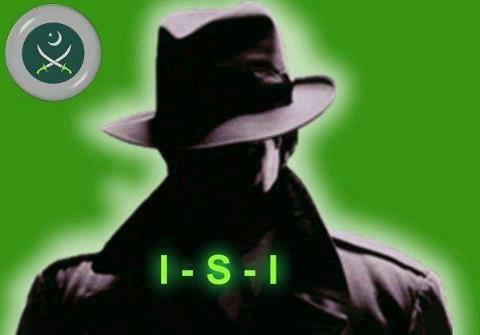 He is the only spymaster of Pakistan who was jailed for eight years, after serving 15 years in the ISI and the IB. Brig Imtiaz recalled that as a lieutenant colonel he was posted as chief ISI Sindh in 1978. One day he received a telephone call from the sister of A K Brohi, who was a psychologist in Karachi. She informed him that she was treating a female young patient who was suffering from a disease called “secret concealment” wherein a patient could not be cured unless he or she shared this secret with someone. The lady doctor had confessed to Brig Imtiaz that she had failed to make the girl reveal the secret and thought maybe he could help her. He then went to meet the woman at the clinic. She was very beautiful and had done her Masters in English Literature and was teaching at a local college. After some initial talk, the woman finally told him that she was carrying a very dangerous secret with her but made it clear that she would not share it even if she was killed. She told him that she knew very well that the intelligence people were not trustworthy, as they usually use the people and they don’t care what had happened to them. Brig Imtiaz told her that if she was not ready to trust him, then he was ready to arrange her meetings with the then DG ISI General Riaz Mohammad (uncle of MNA Shahid Khaqan Abbasi). But, she refused. Brig Imtiaz did not lose heart and told her that he could arrange her meeting with General K. M. Arif who was then chief of staff to Gen Zia. When she refused again, as a last resort Brig Imtiaz offered to take her to meet President Gen Zia to share this strange secret which had made her life a living hell. But, the woman did not agree to any of these names to share her dangerous secret as she feared she might be killed. According to Brig Imtiaz, he could have easily picked her up and kept her in a safe house for a few days in isolation to make her reveal the secret but he did not adopt this traditional style of the intelligence officers. For a few days, according to his own version, Brig Imtiaz grappled with the dilemma of whether to wait or to just pick her up and try extracting information through traditional methods. It was during these days that one day while on his way to Clifton and driving by the consulate of a superpower, he saw a red colour Mazda car bearing a private number plate going inside at a very fast speed but he never really gave it another thought. But later, when he was sitting with the man in Clifton whom he had gone to meet, all of a sudden, his mind started working and he thought of the same red Mazda car and how it was allowed inside the consulate within a few seconds. He immediately ordered his men to stay vigilant outside the consulate and keep a tab on the car when it came out. But the red Mazda did not come out of the consulate building till late at night. 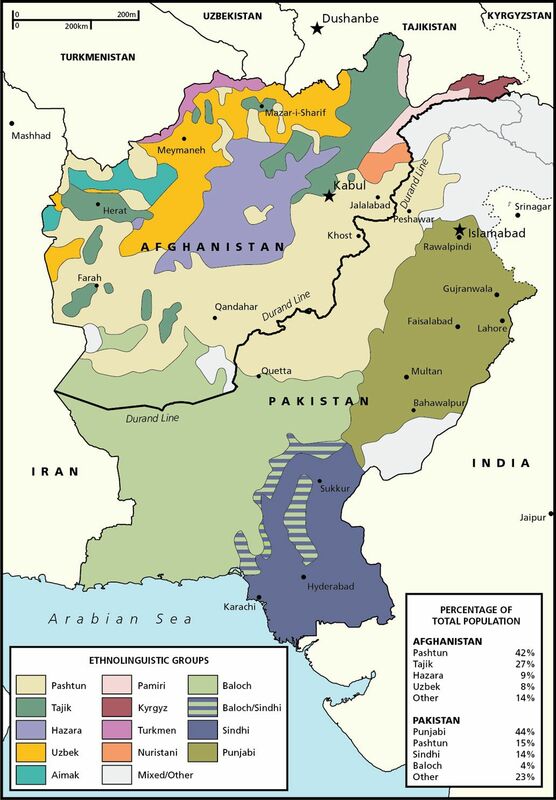 Next morning, he went to his office and took out the Karachi metropolitan map and divided it into eight sectors. He gave motorcycles and cars to his ISI people with the directions to keep on roaming in these eight sectors all the time and note the registration numbers of all such red Mazda cars which were very few in those days. This exercise continued for a month but there was no big success. He kept on checking the registration numbers of red Mazda cars but no suspect was found. One day, he got a red Mazda number which was rented out to someone from a Tariq Road showroom. One Rafique Munshi had rented that car. He had also given his address to the showroom. He was living in Garden East in MPA hostel in a suite. When the credentials of Munshi were checked, Brig Imtiaz came to know that he was working in the KANUPP as an engineer. The brigadier was immediately reminded of the female lecturer and went to meet the Memon lady. He again called the sister of Dr A K Brohi and requested her to arrange a meeting with her patient. During the meeting, he suddenly asked the lady whether she knew Munshi. As he uttered the name, she started weeping. It took her a while to regain her composure but then she started sharing the secret which she was not ready to share earlier. She admitted that she and Munshi had been class fellows at Karachi University. Both had a serious love affair and he had promised to marry her. She said that they had also developed an illicit sexual relationship. But then he suddenly disappeared from Karachi and she could not trace him anywhere. After four long years, he suddenly resurfaced in Karachi and was a totally changed man. Before going into hiding, he was a poor guy, but now he was loaded with dollars and leading a luxurious life. She also saw the photograph of a very beautiful foreign girl in his wallet. She then admitted to the Brigadier that she was still dating Munshi but felt betrayed and cheated as she believed he had spoiled her life. She told Brig Imtiaz that she was thinking to take revenge from him but then she could not dare because it might have also harmed her. Then the secret broke. The woman told him that one day when Munshi left for his office, he left his safe open. She looked at the half-open safe and could not resist the temptation to check its contents. She was startled to see piles of dollars inside along with some official secret files. These papers were related to Pakistan’s nuclear sites and installations. This information was enough for Brig Imtiaz to proceed further as he understood the nature of the secret the woman was carrying with her for so many months and becoming sick in the process. He asked her to help him get a key to Munshi’s suite so that he could himself inspect the stuff. She provided him with the alternate key. With the help of a 70-year-old key-making expert Brig. Imtiaz managed to open the foreign made safe and made copies of documents which were primarily questions and the answers related to Pakistan’s nuclear sites and the people working there. Obviously, Engineer Munshi was working for the secret agency of a superpower which used to provide him questions and he used to give them the replies to those questions related to the nuclear programme. This was the same man who was seen taking his red Mazda car inside the foreign consulate. Brig Imtiaz did not touch the dollars and kept putting the documents back after making copies. He now wanted to capture the whole gang, as he came to know through the papers that the agents of this secret agency of a superpower were also present in Kahuta and other important installations where the nuclear programme was being executed. Munshi was simply playing the role of an agent between the foreign secret agency and Pakistani scientists working at those installations. After a labour of ten months and armed with necessary information, the matter was then brought to the notice of DG ISI Riaz Mohammad. In the meantime, Brig Imtiaz came to know through those secret communications through papers that Munshi was to meet a foreign secret agent at Hawkes Bay Karachi to hand over some documents. He decided to arrest them red handed. He only took his driver along. When the two were exchanging documents, he tried to arrest them; and to his surprise, the agent shot at him but missed. But he, along with his driver, overpowered them and shifted them to a safe house. Soon they had the names of 12 other officers at Kahuta and other places who were part of this plan to sabotage the nuclear sites. According to the plot, these nuclear scientists and engineers working on the payroll of a secret agency were to develop huge technical sabotage of the programme to an extent that it could not have been repaired or fixed for some years to come. They all were arrested from various places in the light of information given by Brig Imtiaz. It was revealed that actually, the foreign secret agency had deputed five handlers from Washington to deal with the nuclear programme of Pakistan. These five foreign handlers included two girls, one of those photos was seen by the heartbroken girlfriend of Munshi which made her jealous and she decided to take revenge. Brig Imtiaz was immediately called to Islamabad to give a briefing to General Ziaul Haq The five handlers were immediately told to leave Pakistan and General Zia was said to have called the president of this superpower to register a protest that how his country’s secret agency had tried to sabotage Pakistan’s nuclear programme. Zia was said to have expressed extreme displeasure over this espionage of nuclear programme. But, the president of that superpower was said to have requested Zia not to make it a public issue as it might tarnish his country’s image and Zia obliged him. A special tribunal was set up to try all those Pakistani scientists and engineers on high treasons charges. The ringleader Munshi was sentenced to death while others were awarded life sentences by the court. But one fine morning, much to his shock, Brig Imtiaz learned that President Zia had commuted the death penalty of Munshi on the recommendation of a top Sindhi leader in exchange for his political support to the Zia regime. After the arrest of Munshi, Brig Imtiaz met the lady lecture whose tip had led to unfold this international conspiracy against Pakistan nuclear programme. She was devastated and feeling very depressed as she told the ISI officer that she loved Munshi dearly but as he had betrayed her she could not spare him. “Listen, almost 30 years have passed since this incident, but till date I can’t forget how a heartbroken woman’s commitment to herself to take revenge from her lover had led to the unfolding of this secret, which, if not shared, might have deprived Pakistan of its nuclear assets and we might not be celebrating this day,” remarked Brig Imtiaz while lost in the memories of the past. Corruption is “the abuse of public office for private gain (the World Bank’s definition)”. A couple of years ago, the World Bank estimated that public procurement in Pakistan amounted to 19.8 percent of GDP or $60 billion a year. Lo and behold, estimates of ‘leakages’ in this $60 billion-a-year business vary from a low of 30 percent to a high of 60 percent. Lo and behold, the ‘leakages’ amount to a low of $18 billion a year to a high of $36 billion a year. 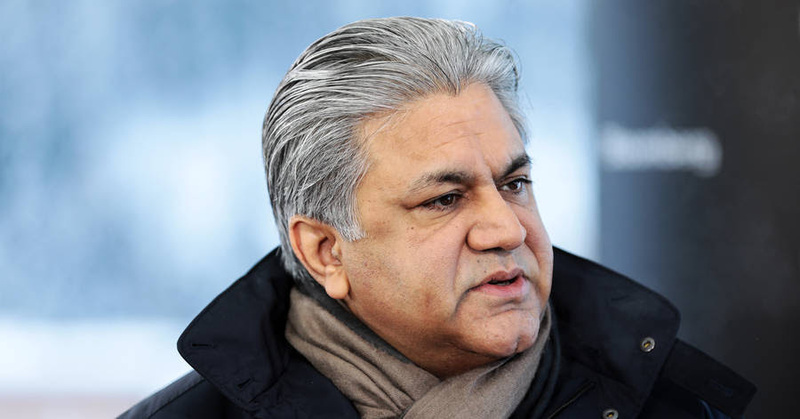 Mohammad Khalid Javed, the founding managing director of Pakistan’s Public Procurement Regulatory Authority (PPRA), said: “we do not need any borrowings from the World Bank or the IMF if we can save this money”. Imagine: according to the International Narcotics Control Strategy Report, released by the US Department of State, the practice of money laundering cost Pakistan more than $10 billion a year. Yes, $10 billion a year multiplied by 10 years would mean $100 billion. Now let’s do some simple math: our gross external financial need this year is $26 billion while the ‘leakages’ in public procurement are potentially more than that. So, we have a potential surplus. Our external debt is $95 billion while the past 10-year money-laundering cost stands at a potential $100 billion. So, we have a potential surplus. Conclusion: Minus ‘leakages’ and minus money laundering, we are a surplus country. The real tabdeeli (change) is: For the first time in Pakistan’s rather chequered financial history, we have a prime minister whose top priority is anti-corruption. The real tabdeeli is: For the first time in Pakistan’s rather chequered legal history, we have a chief justice whose top priority is anti-corruption. The real tabdeeli is: For the first time in Pakistan’s 71-year long history, the head of our government and the head of our Supreme Court share the same agenda. This is the real tabdeeli: For the first time in the Federal Investigation Agency’s rather chequered 43-year-long history, the agency is in the process of unearthing the biggest money laundering scam in the history of Pakistan. And the details of the scam are startling: the number of fake bank accounts so far unearthed amount to 77; the number of individuals named stand at 334 (including ex-president Asif Ali Zardari); and money that has been laundered potentially amounts to hundreds of billions. This is the real tabdeeli: The modus operandi of money launderers is out in the open: political and bureaucratic actors facilitated by bankers open fake bank accounts. The two then dole out contracts worth hundreds of billions to their favourite contractors. In return, contractors deposit hundreds of billions into the fake bank accounts. A moneychanger walks in and black money is transferred to Dubai. Funds are then transferred out of Dubai to buy properties in London and elsewhere. The big picture: The once-dreaded MQM no longer holds Karachi hostage. The PML-N failed to form a government in Punjab. The PPP leadership’s wrongdoings are out for everyone to see. It is true that the FIA’s conviction rate is 6.6 percent. It is true that NAB lacks the capacity to prosecute white-collar criminals. It is true that powerful public-office holders are far from being convicted. It is also true that powerful money launderers have yet to be convicted. But the tabdeeli has begun. When first time the US decided talks with the Afghan Taliban in 2012, the same was conditional, as America had demanded that before any deal, violence against Afghan people must stop and the Taliban must cut ties to Al Qaeda and other terrorist groups. She seeks to distinguish between Al-Qaeda-related fighters and Afghan insurgents—good and bad Taliban. Afterwards, with the backing of the US, an office of the Taliban was opened in Qatar. After the Tokyo conference on Afghanistan, held in earlier July 2012, efforts to convince the Taliban for talks with the Kabul government had been expedited and Pakistan was requested to play an important task. In this regard, during the tripartite meeting in Kabul on July 19, 2012, the then British Prime Minister David Cameron and the former Afghan President Hamid Karzai met Pakistan’s former Prime Minister Raja Pervez Ashraf and reiterated Islamabad’s assistance for durable peace and stability in Afghanistan. They fully backed Pakistan to help arrange meetings between Afghan officials and Taliban representatives. There were also reports that the US and the national security adviser to the Afghan President Karzai contacted the Taliban and had a secret dialogue with them. However, in a bid to win Taliban’s support for reconciliation, President Karzai had called upon their leader Mullah Omer to take part in the elections. On the other side, the Taliban were willing to resume talks with America but had refused dialogue with Karzai whom they consider colonial puppet. Earlier, the Qatar-based talks with America were suspended because the ex-US President Barack Obama did not release five Taliban detainees to participate in peace negotiations as a pre-condition by the Taliban. However, America along with other Western countries was fully supporting Karzai-led regime to commence peace deal with the Afghan Taliban with the help of Pakistan. While on the other side, top officials of America, Afghanistan and India, including their media continued blame game against Pakistan by accusing its security agencies of cross-border terrorism in Afghanistan—and support to the Taliban. They set aside the fact that US-led NATO forces had failed in coping with the resistance of the Afghan Taliban who is fighting a war of liberation against the occupying forces. In fact, America and other NATO countries wanted to make Pakistan a scapegoat of their defeat in Afghanistan. In fact, when any terror attack occurs in Afghanistan, America, India and puppet rulers of Afghanistan shift the blame game towards Pakistan. The US has also accused Iran and Russia of assisting the Taliban in Afghanistan. Particularly, the main purpose of Washington was not only to pacify their people and justify the unending war in Afghanistan but also to fulfil the secret strategic designs against Russia, China, Pakistan and Iran. Notably, on May 31, 2017, a massive truck bombing of the Afghan capital’s diplomatic section killed more than 150 people and injured hundreds of others, including foreigners. Taliban denied responsibility for the terror attack. But, Afghanistan’s intelligence service accused the Haqqani network by saying that a Taliban-affiliated group in Pakistan, carried out the attack. Addressing the conference-the “Kabul Process on Peace and Security Cooperation”, held in Kabul on June 6, 2017, which was attended by representatives from 26 countries and international organizations, Afghan President Ashraf Ghani criticized Pakistan for a lack of cooperation in promoting Afghan peace and alleged that Taliban insurgents are using sanctuaries on Pakistani soil to wage the insurgency in Afghanistan. A Taliban spokesman rejected Ghani’s offer of a peace dialogue by stating that it is another attempt to endorse and prolong the foreign occupation of Afghanistan. 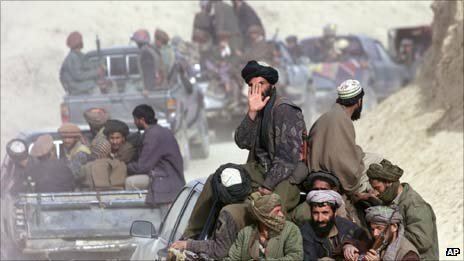 In the recent past, when the US-led NATO forces failed in coping with the stiff resistance of the Afghan Taliban in wake of the continued attack on their installations and Afghan forces, they have decided to revive peace talks with the Taliban without pre-conditions. At present, the Afghan situation is witnessing new trend as all sides favour dialogue option and agree that there is no military solution. Pakistan has long been insisting on dialogue as only viable option to end Afghan quagmire. In this respect, the US State Department has recently appointed experienced statesman Ambassador Khalilzad as an adviser for Afghanistan. During the recent visit of Pakistan’s Foreign Minister Shah Mahmood Qureshi to America, Zalmay Khalilzad has also held a meeting with him. Both the leaders expressed positivity about a dialogue based Afghan peace process. Pakistan has assured the US of its full support for peace talks with the Afghan Taliban, as this was in line with the policy of the government and in the best interest of Islamabad. Foreign Minister Shah Mahmood Qureshi was addressing a news conference after having talks with the US delegation which was led by the US Secretary of State Mike Pompeo. In this connection, the State Department spokesperson Heather Nauert said on October 3, this year: “US Secretary of State Mike Pompeo pressed Afghanistan’s Taliban to come to the table to end the long-running war as he called on Pakistan to play a supportive role. Pompeo met in Washington with the foreign minister, Shah Mehmood Qureshi, in the latest US outreach to the government of Prime Minister Imran Khan, a longtime advocate of a negotiated settlement with insurgents. Pompeo appreciated Pakistan’s support for political reconciliation in Afghanistan and for peace in the neighbourhood…The top US diplomat, who met PM Imran last month in Islamabad, “emphasised the important role Pakistan could play in bringing about a negotiated settlement in Afghanistan Pompeo “agreed that there was momentum to advance the Afghan peace process and that the Afghan Taliban should seize the opportunity for dialogue”. On the other hand, there are also reports that the Taliban have held talks with the Afghan Government in Saudi Arabia. Reported talks were related to a ceasefire during upcoming parliamentary elections in Afghanistan, to be held on October 20, this year. It is considered that the peaceful elections cannot be conducted in Afghanistan without the Taliban’s cooperation. Taliban have refuted the talks. Saudi Arabia is seeking a role to replace Qatar where the Taliban hold a political office. Russia has also emphasized for an Afghan solution based on negotiations between all sides. Again, it is notable that Islamabad has long been insisting on talks to end the Afghan crisis through dialogue. All the regional players including Russia, Iran and even China have also been favouring this approach. In these terms, the visit of the Foreign Minister Qureshi to the US has been a success in which he has assured the international community about Pakistan’s pragmatic and positive support on all issues including that of Afghanistan. The visit has also resulted in melting the ice between Washington and Islamabad. In this context, under the caption, “Study Finds Americans Feel U.S’s Involvement Has ‘Failed’, Afghan-based website Tolonews said on October 7, 2018: “A Washington-based research centre Pew has found that most American’s feel that the US’s second longest war–Afghanistan, after 17 years has failed…On the 17th anniversary of the US’s involvement in Afghanistan, 49% of Americans say their country has failed to win the war. The report is an eye-opener for those who have been supporting Trump’s policy of increasing military pressure to win the war in Afghanistan. In fact, the policy has resulted in a huge spike in losses of both Afghan defence forces as well as in the civilian causalities. The reverses in battleground have forced Trump administration to pursue the option of dialogue with Taliban which was advocated since long by Pakistan….Pakistan has given clear stance in recent days declaring an Afghan-led dialogue as the only option to bring peace in the region. Pakistan has offered its fullest cooperation in pursuance of peace. Foreign Minister Shah Mehmood Qureshi has strongly rejected the military option and advocated dialogue to end the Afghan quagmire. A new survey by Pew also supports Pakistan’s stance for a durable solution. New development has once again indicated about positive Pakistani role” (Afghanistan Times and other news agencies also reported). Nevertheless, in the recent past, after the visit of the US Secretary of State Pompeo to Islamabad and visit of Pakistan’s Foreign Minister Qureshi to America, positive change has occurred between the strained relations of the US and Pakistan. 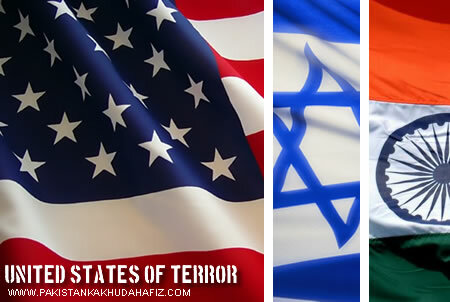 Now, ties between the two countries are improving rapidly. Positive change in Pak-US relationship has resulted in positive change between Afghan-Pakistan ties. Therefore, Kabul has re-opened Pakistan consulate in Jalalabad. These developments clearly show that now the US has realized that without Islamabad’s help, she cannot achieve durable peace and stability in Afghanistan. Otherwise, the US-led NATO forces will remain entangled in that war-torn country. Hence, with the support of Pakistan, unlike the previous conditional dialogue, the US is reviving talks with the Afghan Taliban without pre-conditions.